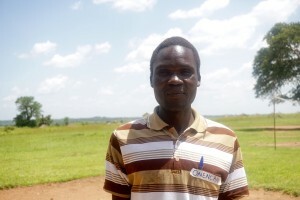 Kuluse, 25, is a nursery teacher in Kamboli district in Northern Uganda. He has just finished his training in Early Childhood Development and nursery education at Gulu Primary Teaching College. Newly qualified and raring to go, Kuluse draws his motivation from his students’ passion for life and learning. 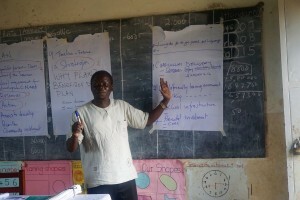 Kuluse shared his teaching experiences with African Revival when we met him at a Jumpstart ! 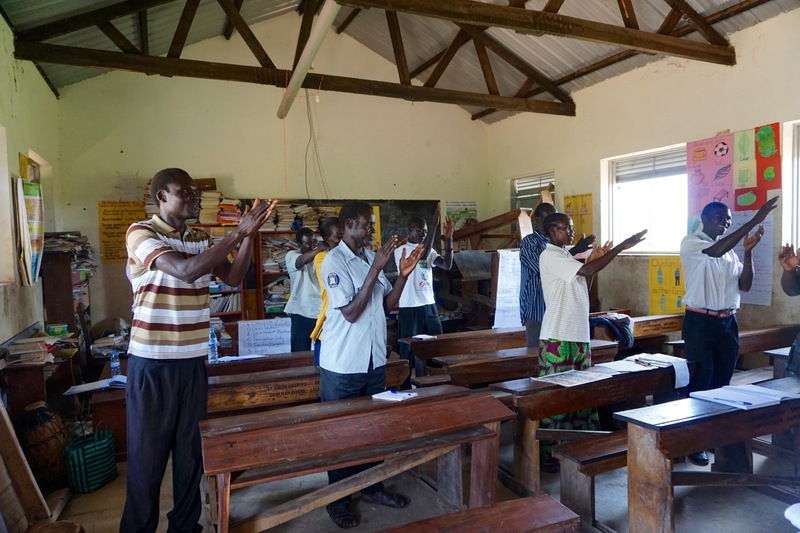 teacher training session, implemented by our Education team and funded by the UK Department for International Development’s UKAid match programme. I first started as a part time teacher. Later I joined a training course to become a teacher. 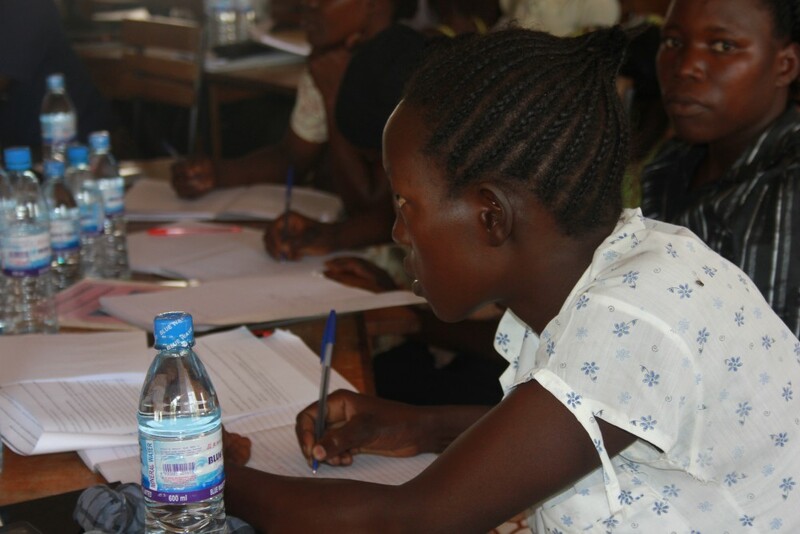 I joined ECD training because I felt love for the children. I never wanted to be a teacher, I was just fascinated by the childen’s behavior. I enjoy most of the learning areas, but I love observing the children’s lifestyles, seeing how they try to relate to each other and watching them develop as people. 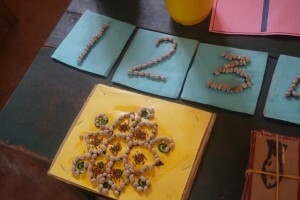 I enjoy watching them be creative, its the part of the teaching I really enjoy. I enjoy teaching maths. It was one of my favourite subjects during my childhood, right until I reached my advanced level. I still took maths as part of my A level combination, so naturally I love maths. There are challenges that you face as a teacher when joining a school. One of the challenges is that we are a young school, so we are still lacking a lot of materials, but we want to appreciate African Revival because they have always given us support. Another thing is the parents; they are not very encouraging, they were speaking badly about the school. 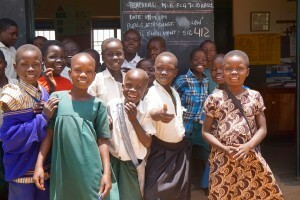 But the good thing is, the time I spend with the children in class, it makes me feel very relaxed. Sometimes I don’t even feel like releasing them to go home, because when I’m with them I’m enjoying my time. My children don’t want to leave. 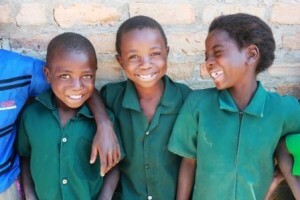 One time they said ‘teacher we are going with you !’ so they don’t feel like leaving. They enjoy it so much. Sometimes after the daily routine, they sit down and say, teacher now it is time to dance. The traditional cultural dances – they enjoy it so much. I’ve really achieved a lot by attending this [Jumpstart !] training. In fact yesterday I didn’t sleep. I spent most of the night working on my learning aids, because I felt like if I spend the time now, I will make a lot of things that will help me in class. 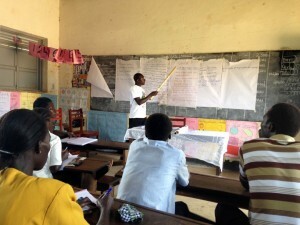 During training we learnt about how we can take part in developing the school. We should sell our school by the commitment that we give to the children. We should not mind the current situation and work hard to build a better quality, and once the quality comes, it will sell the name of the school and attract the parents’ attention towards the school. Then there are other ways, like materials that we use. 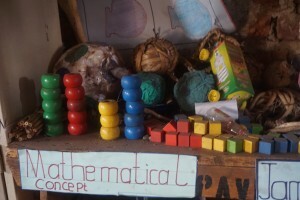 We shall be creative so that the money that we could have used on buying these learning materials, we save it for other things. The best thing I got [from attending these workshops], is that I shared the experience with my colleagues. Things that I never knew how to do, I learned from my colleagues, because the trainers encouraged us to have group work activities, so we worked well in teams. My wish for my school is first class knowledge. Most of the knowledge I’m having here, I want to go and share it with my fellow staff to make sure we take our school to the best level of education standards. I also wish that, in sometime to come, I shall be one of the authors of, or write a book that will help teachers know how to pursue their teaching dream. Nursery education is the foundation of our nation. If the foundation is built well, our dreams for Uganda will all come to pass. Meet Sajida Mweemba, a 26 year old teacher from Kinnertone Community School. Sajida is from the town of Kalomo, southern Zambia, but during the week, she lives in her school’s office in Kinnertone with her son, 8 year-old Colin, and daughter Maluba, who is six. 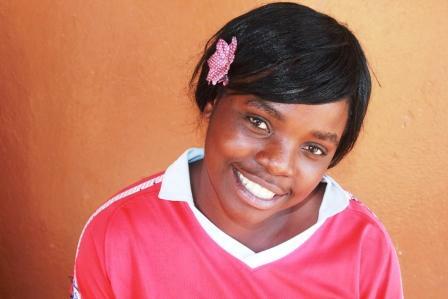 After long weeks at school, Sajida enjoys coming home to Kalomo to spend weekends with her husband. Sajida began her teaching career as soon as she finished Grade 12 at school; she obtained such good school results that upon graduation four years ago, she was offered a teaching post at a private school. 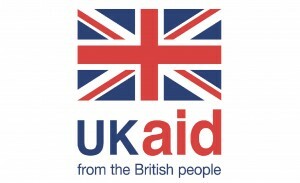 After two years of teaching in the private sector, Sajida was determined to obtain a formal teaching qualification. She was accepted onto a teaching course, but was only able to pay for one term at the college before running out of funds to support herself, and was sadly forced to drop out. Without a teaching certificate, Sajida was unable to become a government teacher, but her local district education authorities saw her potential and placed her at a community school instead – Kinnertone Community School, where she has now been working since 2013. Sajida currently teaches Grade 3, and she tells us that her 18 pupils are doing very well: “my class are doing very fine; they are children who like reading”. In fact, Sajida has high hopes for her enthusiastic readers: “I will be happy if I can see that the children I have taught are developing the country, like if they are becoming the teachers, nurses, and other valuable jobs.” It looks like Sajida’s dreams for her pupils could well come true as she told us that her pupils aspire to follow in her footsteps: “there are some children who like to be with me – they even imitate how I talk and say things like “I want to be a teacher like you, Madame!”. It is heart-warming moments like these which keep Sajida motivated, as being a community teacher can be very difficult: “At community schools, you find that they don’t support you financially. But we try by all means. Sometimes, it can be difficult trying to get parents to come to school so that we can talk together about how to best support their child, and help with any difficulties they have. But sometimes don’t come to meetings to help us solve these problems. Also, it is sad because sometimes children stay absent from school for a long time.” Although these obstacles can be difficult to overcome, through her training, Sajida is learning how to effectively communicate with parents, so that they can work together for the good for the children. Sajida has been excelling in her teacher training so far: “I have enjoyed this training because from the time I started teaching, I had that hope that I would complete the course without failing, and I am happy because when we sat exams a few months ago, I passed and I am still here and I know that I will pass.” We are delighted to have been able to offer Sajida the opportunity to obtain a formal teaching qualification, and we are sure she is going to smash her final exams in a few months time! Jumpstart! 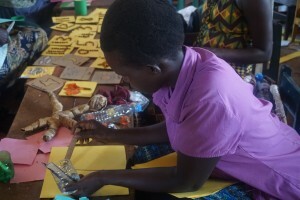 news update: Making Acholi learning aids from local materials! 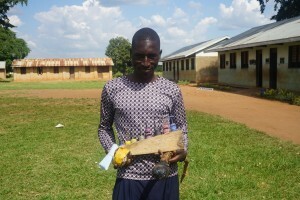 The participants learned how to source raw materials from the natural environment and use them to make a variety of educational equipment in the local Acholi language. Furthermore, nursery-teaching resources written in the local Acholi language enhance the students’ learning because it is the language they use at home. ‘Firstly, the children in the nursery schools are still developing their language and still using the local language at home. So we hope that, when they come to school and get materials in the local language, they will develop their language skills fast because they understand it. At home we call a pot ‘agulu’ – when they come to school they also find ‘agulu’, so they develop reading and writing skills faster. With more and more Acholi being introduced into nursery education, in conjunction with vibrant, engaging and locally sourced learning aids, we are sure this foundation is growing stronger by the day. Chitambo Elizabeth is a 22 year-old teacher who currently works at Cjikoli Basic School, 4km away from Kalomo town, where our Zambian office is based in the country’s southern province. 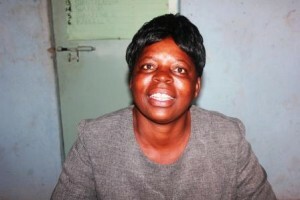 She lives in Kalomo with her husband, and her baby son, Luck. 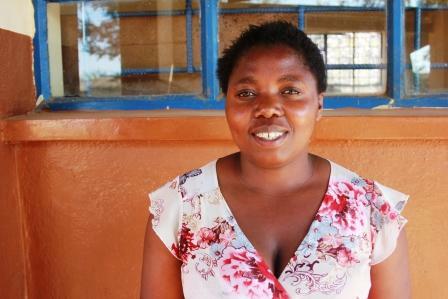 Elizabeth knew from a young age that she was destined to become a teacher: “from the time I was born, I have called myself a teacher because even when I was very little, I was always teaching others, and so when I grew up, I thought I could teach a class. You could say that I have always wanted to be a teacher!” Fortunately for Elizabeth, once she finished high school two years ago, the community caught wind of her love for teaching and her natural ability to teach others, and was immediately snapped up by Cjikoli Basic School, despite not holding a teaching qualification. Elizabeth has been so thankful for our support but the truth is, it’s been our absolute pleasure, and we cannot wait to watch Elizabeth qualify as a fully certified teacher in December 2015! News from our Jumpstart! 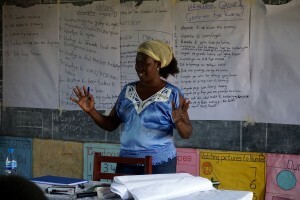 Programme: ECD Centres are mapping their future! 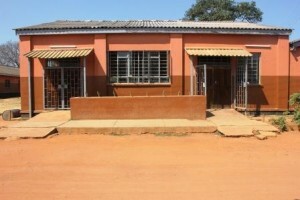 their ECD centre. 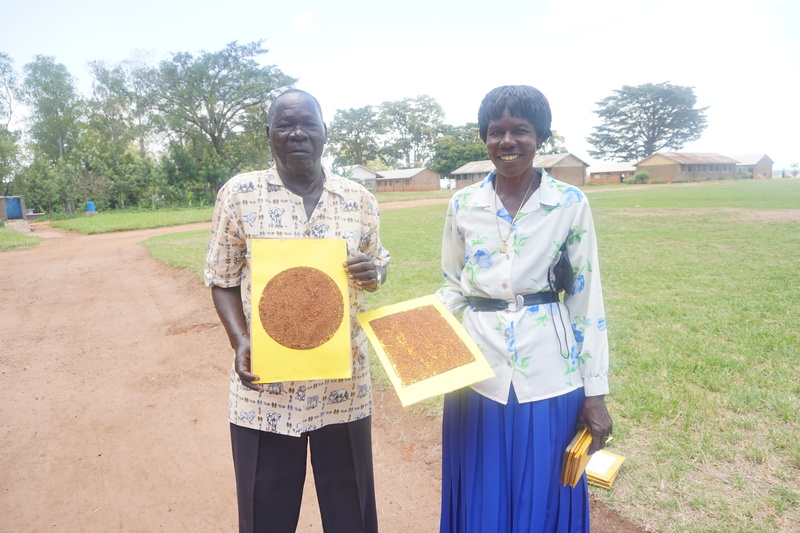 Last week, a two-days workshop was held at St Kizito Bidati Nursery School. With all parties attending, there were 10 enthusiastic and willing ‘learners’, eager to develop a 3-year-plan with one main goal: Quality Education! The second key area is (2) ‘Child-friendly learning environment’. The main focus will be ‘Creating a talking classroom’. This will involve investing in resources, so that at the end of the day, the classrooms are talking for themselves. However, an eye shall also be put on improving outside playing materials and providing enough shade for the children to play outside. Additionally, ensuring a clean and safe environment as well as a clean water source are also part and parcel of this key area. Thirdly, ‘school infrastructure’ (3) shall be improved through, for example, the construction of a bathing facility. Last but not least, boosting (4) ‘parental involvement’ is the fourth key area identified. They are aiming at sensitising parents on the value of ECD through events such as Parents Open Days. 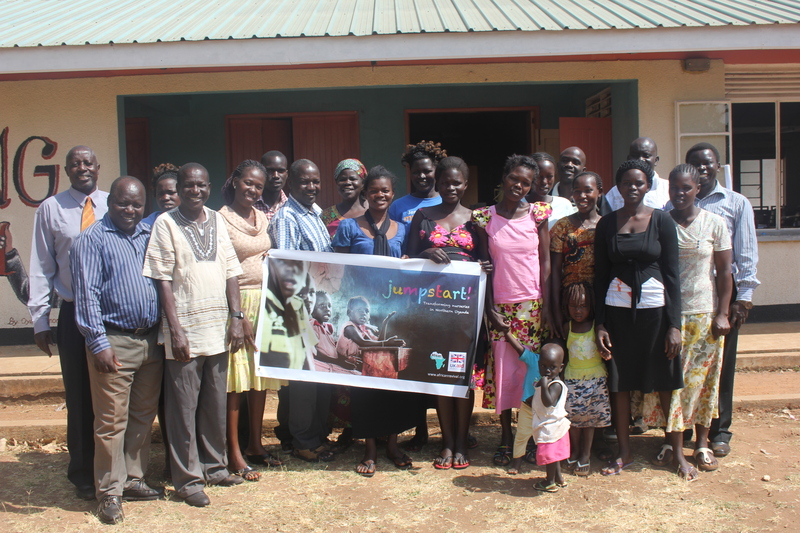 Additionally, they came up with another great idea to raise awareness about the importance of ECD: In Uganda, elections are coming up next May and local leaders have already been busy campaigning; the people from Bidati will try to convince some of these local leaders to include ECD in their manifestos! Parental involvement is a key issue for a sustainable change at every school, and at St Kitizito Bidati. This was also evident when looking at development partners and stakeholders. 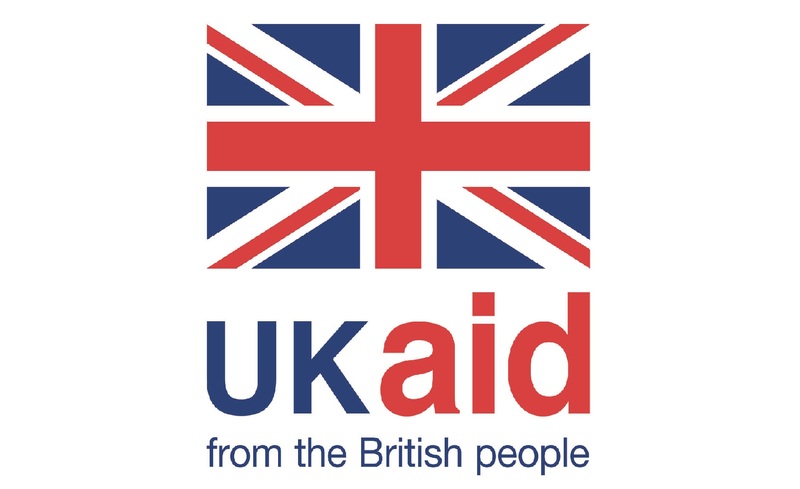 In this respect, as much as the support by NGOs is extremely valuable in these communities, it is decisive to look at them as an additional source of funding that can contribute to areas where parents lack sufficient funding. 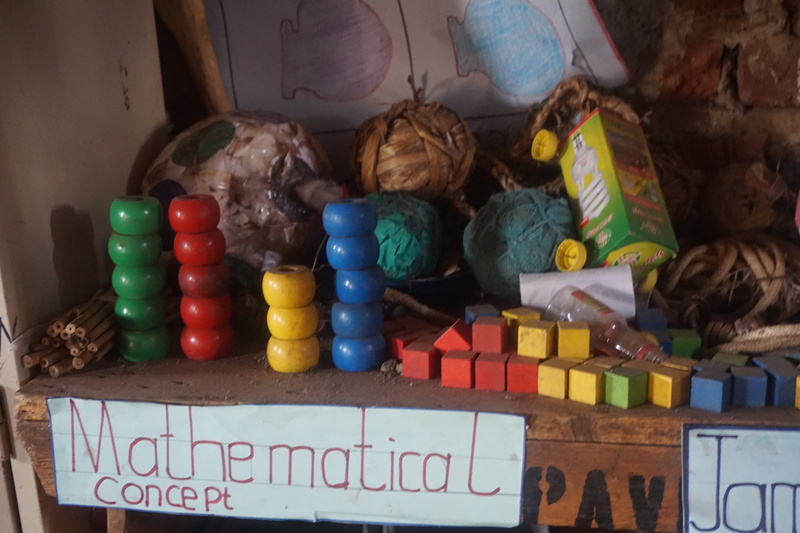 As the ECD centre is only in its nascent stage, it is faced with several challenges andweaknesses, ranging from a lack of classroom, bathing facilities, shades and playing and learning material to high rates of absenteeism in rainy and harvest seasons and rather low parental involvement. And poverty continues to plague the communities in the region, ultimately representing a threat to the mere maintenance of the nursery. 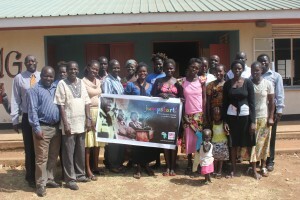 However, they hope to tackle these issues by drawing on their strengths, such as dedicated and qualified teachers, committed CMC members, good enrolment and valuable support of the primary section, and exploiting their ‘opportunities’, may it be through cultivating bare school land for meals for the children or bringing more parents as well as children on board through greater community sensitisation. Before everyone was off for the weekend, they started to get to the details, having a look at what resources and expenses will be necessary in order to implement their CDP. Participants were split up into groups. Coincidentally, their results perfectly complemented each other: While the first focused much more on the construction aspect of the SDP, the second prioritised on resources needed inside the classrooms. 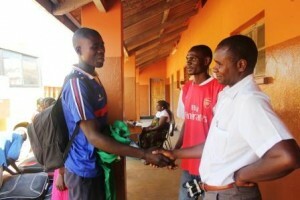 And once again, they agree on the importance of investing in teacher training. Additionally, their realistic mind-set and awareness of their limited resources inspires them to think practically. For example, when it comes to their constructions plans, they also consider local grass-thatched houses as an alternative. – But the cheekiness is met with great generosity by the attending parents, as they offer to supply the teachers with some land as well as support in the preparation of the land. Filled with motivating appreciation claps for their work, the two-days workshop at St Kizito Bidati ECD centre passed quickly and they look forward to the next workshop, eager to set their CMP into stone. Following the workshop, we had the opportunity to talk to a PTA and CMC member who are both called Julius. Find out more about them in the following paragraphs! 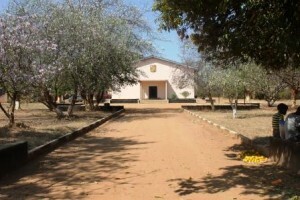 What do you think about the performance of the school ? The school is doing well, but there are certain things that need to be improved on – mostly the parents, who are not doing their part. What do you think of ECD? I am very positive about the ECD, because that is the foundation, for this school to succeed, although there are still challenges with them; there are a few things to be done with the ECD to have that quality. What do you think of the Jumpstart! project? For me, the Jumpstart! project is really good, it’s coming to complement what parents are trying to do. What is best about it? What I like most about this is the caregivers training, and refresher coursers, the way that teachers are being developed in their skills and are improving each time, because the teachers have demonstrated what they were like before and what they are now. And we, as the management, we were very happy about that. And I think, the impact will go to the children. What do you think of the workshop? This workshop is very good. And it wasn’t there before. No one was thinking about it. I now understand the planning – it gives people the opportunity to know what they are supposed to be doing. And I was interested to know more of the different roles of the stakeholders. And I was requesting that such support, if possible, should continue to the leadership of the school, to the management, because it would help them do their work well. What’s the most important part for you to implement in the CDP? For me, curriculum delivery is the most important, as well as supporting the teachers, their training and providing the learning materials. What do you hope for the school? My hope for this school is to have more caregivers; at least two per class, and this will improve the quality of teaching. Meet Julius, a 36 year-old farmer from Bidati village in Nyowa district, father of Jacob, Prosie and Fiona, and dedicated member of St.Kitizo Bidati School Central Management Committee ! He was one of the attendees at the two-day Jumpstart! training workshop about developing a Centre Development Plan. Learning how to create action plans has formalised the way the committee works, making them more efficient and productive. 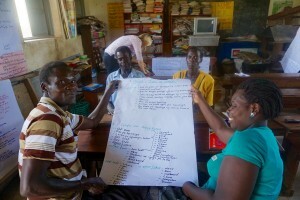 Julius is positive that with these new skills, the committee can encourage parents to unite to support the progress of the school. In deed, Julius wants to form a committee plan that will raise the standard of education at nursery level, ultimately increasing the quality of teaching and learning and contributing to early childhood development. His belief in the importance of nursery education is based on his own experience as a parent. 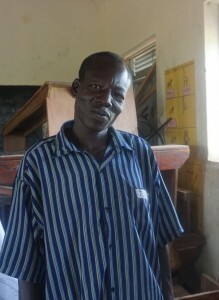 While his two daughters attended nursery school, his son Jacob did not. 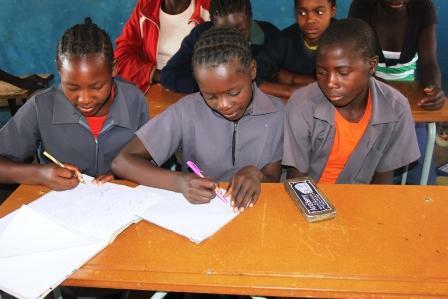 The two girls excel at school (Fiona is 1st in her class), often receiving certificates praising their academic performance and organisational skills. However Jacob struggles at school, and has little interest in completing his homework. Julius attributes the educational success of his daughters to their nursery education, which he says helped them to build basic skills and confidence before entering primary level. Now that’s dedication ! In the future, he hopes that his children will study hard, but above all “be self-respecting individuals, with careers of their own, who value their jobs”. And he will also do his best to improve the quality of nursery education at Kizito Bidati so that all the students can grow as individuals and have successful careers. Teacher Profile: Meet Mrs. Shanachenga! We would love to introduce you to Mrs. Shanachenga, the acting head-teacher of Inkumbi Basic School, located in southern Zambia’s Zimba district. 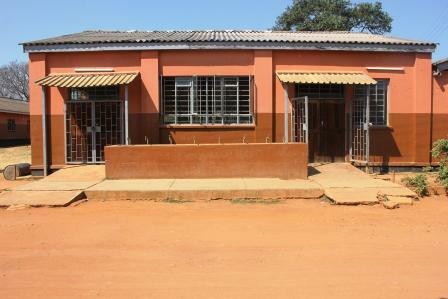 Mrs. Shanachenga lives on the school compound in one of the teachers’ houses with her husband and some of her children, including her youngest, Timothy, who is enrolled in grade 1 at the school. The mother of seven children, Mrs. Shanachenga’s family is rapidly expanding; she already has five grand-children! Mrs. Shanachenga loves teaching, but it actually wasn’t her original career choice. However, she just couldn’t ignore her natural aptitude for teaching: “at first I had no interest in teaching, I wanted to work in the government in the Ministry of Defence; I went for interviews but I failed. However, I knew that I had a talent for teaching. That gift was apparent from when I was young…my fellow pupils would ask me to teach them, because I was very good especially in maths and science. After class, if my peers didn’t understand something, they would ask me to teach them, so I would go to the blackboard and explain the lesson to them again. It showed that I was a teacher from birth so it made sense to go into teaching; it was very easy and very natural to me.” It seems that Mrs. Shanachenga has inspired a new generation with her love for teaching, as her oldest daughter will be following in her teaching foot-steps and will be starting teacher-training next year! Although it is a rewarding vocation, being a teacher in a rural school admittedly has its fair share of challenges. Mrs. Shanachenga explained them to us: “over-enrolment is a real challenge in the rural set up; all our classes are over-enrolled and we only have 12 teachers for 736 pupils. For example, in grade 2, there are 93 pupils, so it is not easy for me to teach effectively because I need time to spend with children who need extra help. So it is a challenge, especially because we don’t have adequate teaching materials.” In spite of these difficulties, Mrs. Shanachenga and her entire teaching staff work very hard to give the children of Inkumbi the best education possible. With her dedication, we are sure that Mrs. Shanachenga’s pupils will not only excel in school, but also grow up to do great things! Over the past few months, our jumpstart! 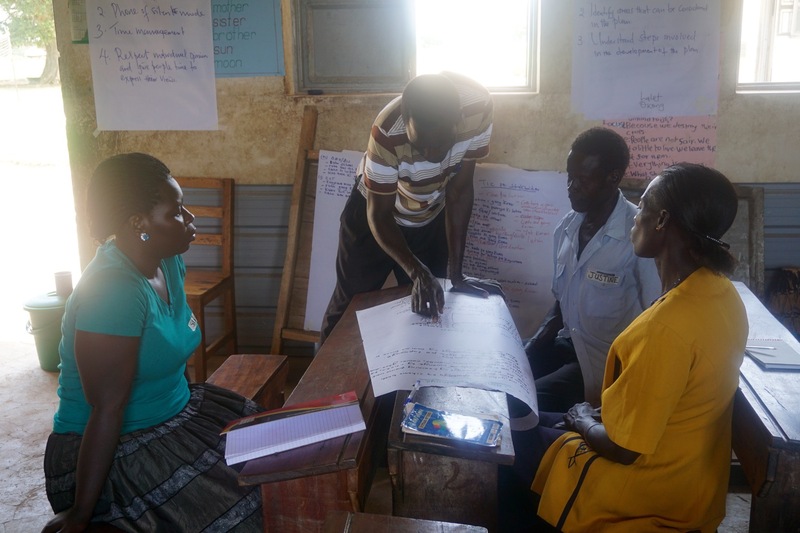 team and our partners STIR Education have been mobilising “teacher-changer networks” in the Nwoya district of Northern Uganda. The networks, which meet 4 times a term, act as forums for teachers to brainstorm ways to improve their schools. In the past, innovations have included strategies for improving school discipline, as well as school hygiene. We recently learnt that from 1,000 micro-innovation submissions nationwide, two of our fantastic jumpstart! teachers have been selected as finalists. Our teachers, Stephen and Charles, came up with innovations to energise their classes and increase punctuality and attendance. The ideas will now be implemented in classrooms nationwide. They will be congratulated officially at a year-end summit in Kampala, receiving certificates from Roehampton University and STIR Education. We send our congratulations on to Charles and Stephen and all the teachers we work with, for continuing to inspire change and bring about a better quality education for their pupils. We’re pleased to announce that this year we’ll be holding a Christmas Carol Concert! Join us for some merry yuletide fun on Wednesday 2nd December at 7.30pm at the United Reformed Church in Hampton Hill. As well as top carols from a selection of local choirs, there will also be delicious mince pies, tasty mulled wine and a festive raffle. What better way to start the Christmas season?! Book now to avoid disappointment on the night (tickets £10). Call the office for tickets. 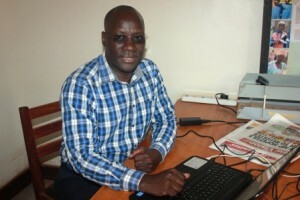 In July this year we welcomed Peter Etabu as our new Country Director in Uganda. Peter comes with more than 20 years’ experience working with NGOs in a number of sectors using different approaches, such as the Rights Based Approaches, direct implementation vs Partnerships, participatory Policy engagements and Advocacy, and Sports for Development and Peace. What makes a happy, healthy school for learning children? 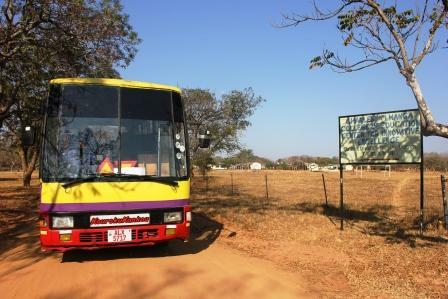 We recently visited Siamwaamvwa, a school in Zambia’s Zimba district, to see the difference clean water, washed hands and adequate toilets make to rural schools. 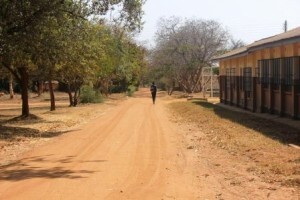 Established in 2003 by the local community, the school has 560 pupils who attend from surrounding villages – with some children walking 13km each day to get to school. 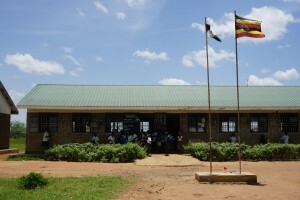 Sourcing water remains a continuous problem for the school as the district is very dry and barren. There are five boreholes in the village, but all are dysfunctional. The next nearest water source is a river which is a 5km walk away. 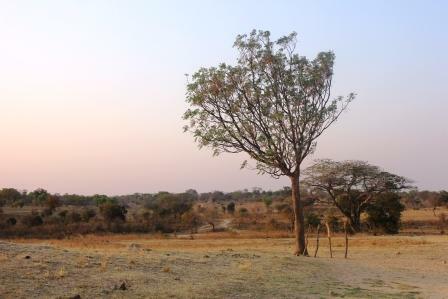 In the dry season, water levels become very low and water becomes increasingly scarce. 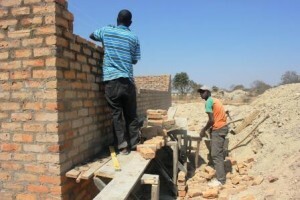 To counteract this, African Revival is repairing the school’s borehole, which will benefit the whole community. Currently the children and teachers use rudimentary hut pit latrines which are unhygienic and close to collapse, so with funding from Just a Drop we are constructing latrines for teachers, girls and boys, along with girls washing and changing facilities, and also installing hand washing facilities. 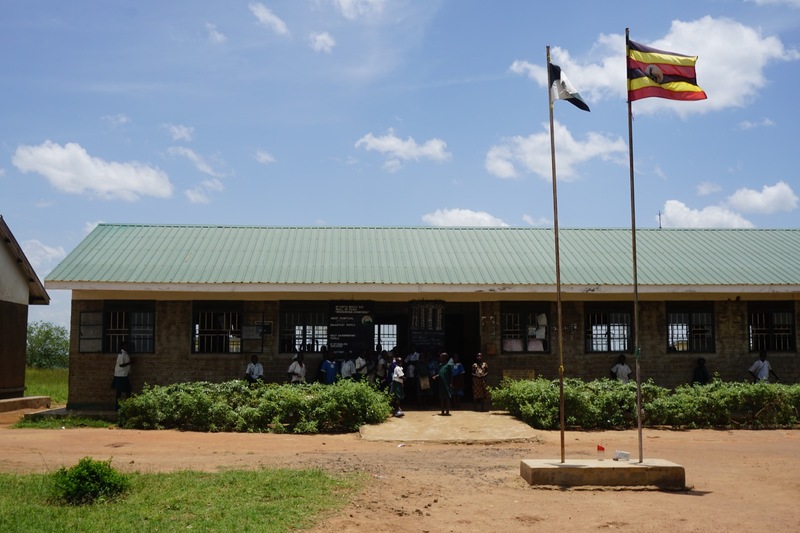 The school will set up a maintenance committee upon completion to ensure that the latrines can serve children and teachers for many years to come. In addition to improving hygiene at the school, the facilities will be particularly beneficial to girls, as they will be able to wash and change during menstruation, rather than miss class. These facilities will make a huge difference to school life when the children return in September.